School started for my daughter a few weeks ago and school bells will be ringing for millions of other kids over the next few weeks. As everyone tries to get into the swing of things, keep in mind that your commute may be affected by the extra traffic of parents and school buses shuttling children around. Don’t be the driver that makes the wheels screech to a halt. 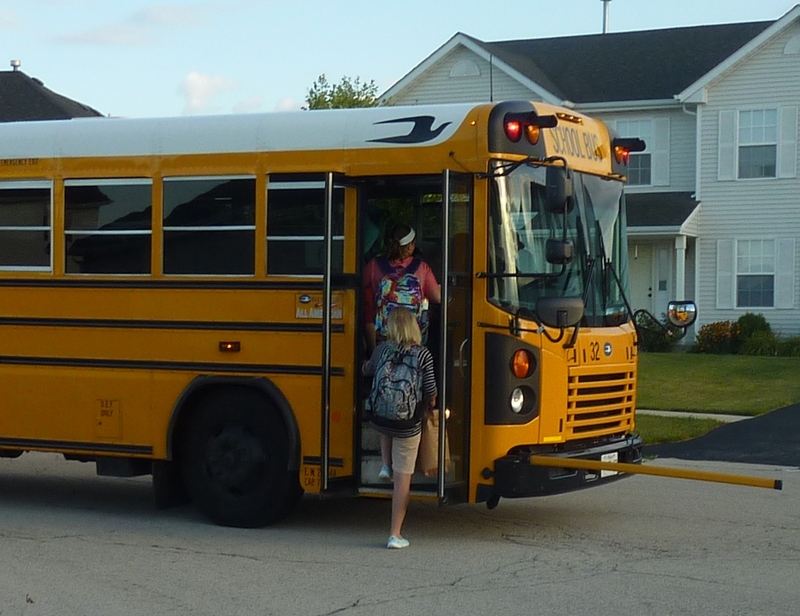 When a school bus stops – you stop. 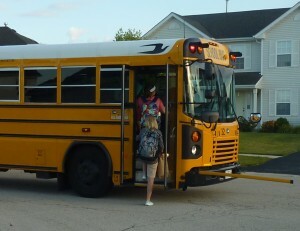 Kids are expecting to cross the street safely, so don’t try to pass the bus. Slow down in school zones. Don’t just slow down when you see a police officer. Remember that there are kids around. Some towns even have speed cameras that issue tickets to drivers who don’t follow the 25 mph limit in school zones. Find an alternate route or avoid schools altogether. You may be affected by additional traffic. If you hate getting delayed by crossing guards and school bus stops, take a detour away from schools between 7 to 9 am and 3 to 5 pm. You can avoid the general chaos of arrival and dismissal times and save yourself some hassle. Get off the phone in school zones. Kids don’t always watch for cars, you have to be aware and watch for them. Be courteous to bus drivers. Give them plenty of room to turn and move. No one wants to be the driver who didn’t see someone crossing the road in time. Be prepared whenever you’re near a school bus or a school.